Thank you for signing up for my newsletter! I hope you find it informative. There are many events coming up so I hope to see you at one or more of them. If there is anything you would like to learn more about, please don't hesitate to reach out to me. As always, it is an honor representing you on the Lake County and Forest Preserve Boards. The second installment of your 2015 property tax bill is due Sept. 2. Please note, you received one bill in May, and you will not receive another bill for the second installment. If you have misplaced your second installment coupon, you can print a copy from the Treasurer's Office website by entering your PIN or address. Check out an interactive tax bill to help you better understand what is included on your bill, and visit the Treasurer’s Office website to get answers to frequently asked questions, and see property tax payment options available to you. Sept 10: Rx for Health @ Fort Sheridan Forest Preserve! The Solid Waste Agency of Lake County will hold its next household chemical waste collection from 8 a.m. to 2:30 p.m. Sept. 17 at the Lake Forest Municipal Services Center, 800 N. Field Drive. These collections are open to Illinois residents. Learn what materials are accepted. Oct 14 - 15: Hawkfest! 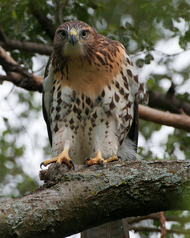 See the fall hawk migration and live raptors at Hawkfest, held at Lake Forest College and Fort Sheridan Forest Preserve! There will be free bird walks, photography workshops, birding presentations and more. Even though summer is coming to a close, you must still be aware of mosquitoes and ticks and the diseases they carry. There have been reported cases of both Lyme Disease and West Nile Disease, and it is important to protect yourself when outdoors. Please click here to learn how to identify a deer tick, and what symptoms to be aware of if you do become sick. Lake County, along with our nation and local communities, is facing a mental health crisis that affects the individual, families, friends, neighbors, veterans, employers, schools, hospitals, the criminal justice system, and more. Our goal in Lake County is to achieve a 60% recycling rate to extend the life of our landfills and create a healthier environment. Getting our organics out of our waste stream is critical to our success. Please watch the video to learn about the importance of composting and how to do it correctly. Please note that some communities allow food scraps to be mixed in with yard waste. Check with your village or waste hauler to find out if you can do this at your home. 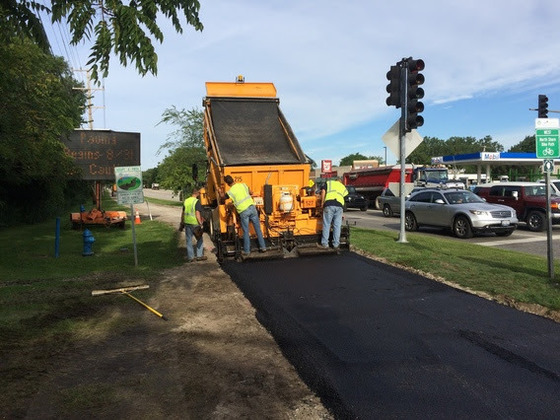 Click here to learn more about SWALCO and their work to keep Lake County beautiful! If you have prescription drugs that need to be thrown out, do it the safe and responsible way. As part of International Overdose Awareness Day today, municipal police departments across Lake County want residents to be aware of the disposal boxes available. The Lake County Underage Drinking and Drug Prevention Task Force disposal program in partnership with the Solid Waste Agency of Lake County collected nearly 12,000 pounds of prescription medicine with an estimated street value of $750,000 in 2015. Find a prescription drug disposal box near you. Support the Organic Youth Farm in North Chicago! Through early October, purchase organically grown produce from the Green Youth Farm in North Chicago. 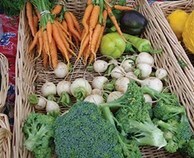 The farm stand is open from 9 a.m. to 1 p.m. Wednesdays. Each summer, teens from low-income communities gain invaluable experience working at the farm. Travel the entire 31.4 miles of the Des Plaines River Trail (DPRT) by Nov. 30 and be rewarded. The final section of the DPRT was completed in 2015 and now spans the length of the county. Help celebrate this amazing gem by using it. Bike it. Boat it. Walk it or run it. Or, you can make a donation to help the Forest Preserves keep it clean and safe. Learn more. In Lake County, we appreciate the dedication and commitment of the men and women who have served in the United States Military. To honor their service, we offer resources to help veterans and their families. To learn more, check out this brochure, which details the assistance the Lake County Veterans Assistance Commission provides, the Veterans Treatment and Assistance Court, how to request a military service discharge record, and more. The Lake County Children’s Advocacy Center recently broke ground for its Healing Garden, a place to bring comfort to child victims of abuse. The Children’s Advocacy Center works with the State’s Attorney’s Office and Lake County police departments to investigate and help successfully prosecute offenders of child abuse without causing further trauma to the child victim. Watch this video to learn more. Lake County has installed its third FREE electric vehicle charging station! The new station is at the Lake County Court and Administrative Complex and is FREE to use for two hours per charge. The stations allow you to recharge plug-in electric vehicles, including all-electric cars, neighborhood electric vehicles and plug-in hybrids. Electric vehicle owners must have a ChargePoint membership to use the County’s charging stations. Learn more about the County’s charging stations, and check on charging station availability on ChargePoint’s website.